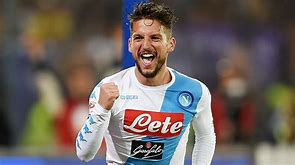 Chelsea’s incoming manager, Maurizio Sarri plans to bring in £24.5m-rated Belgium’s star Dries Mertens to Stamford Bridge as his first signing, as soon as the Premier league side announces his switch from Serie A, suggest reports. According to a UK Daily Mail report citing sources at The Daily Mirror revealed that the former Napoli boss is plotting to play the 31-year-old forward on the right of a front three next campaign. The Daily Mail on the other hand, disclosed early in the week the Italian football tactician is set to take over from compatriot, Antonio Conte at the Premier League side, with FA Cup winners’ plotting to seal the deal before the turn of the week. The 59-year-old Sarri is expected to have Chelsea’s legend Gianfranco Zola as assistant as soon as the dotted lines are signed once Chelsea’s £9.5m compensation deal worth with Conte and his assistants get the green light. On the other hand, eggheads of the Serie A side Napoli are eagerly awaiting a £3.5m compensation for Sarri, despite bringing in former Chelsea boss, Carlo Ancelotti as manager in May. However, the former Empoli manager is already looking ahead to life in the English topflight. The Belgian star played under Sarri last campaign, netting 21 goals in all competitions for Napoli as they ended the campaign as runners’ up behind Champions’ Juventus. During the 2017/18 campaign, the Belgium international was converted to a striker by Sarri and he delivered 34 goals. Interestingly, Dries Mertens, who grabbed Belgium's Red Devils’ first goal during the Panama game on Monday, had a £24.5million release clause this summer. Sadly, a new clause is now in place that will likely to hike up Mertens’ release clause. Sarri, is also plotting move for Manchester United's Anthony Martial alongside the duo of Borussia Dortmund starlet Christian Pulisic as well as Nice midfielder Jean Michael Seri.